Need a new one but I am about to refresh the suspension including fitting either lower springs or going the whole hog with Ohlins R&T. A new splitter wouldn't last 5 mins if the suspension is lowered 15/20mm!! I think there is a splitter available that isn't as deep as the standard one but not sure which one that is or where to get one! If anyone could point me in the right direction would appreciate it or if anyone knows of other options, I think the 991 splitter can be modified to fit the Gen2, possible to mod for the Gen1?? Do like the look of this type of splitter! 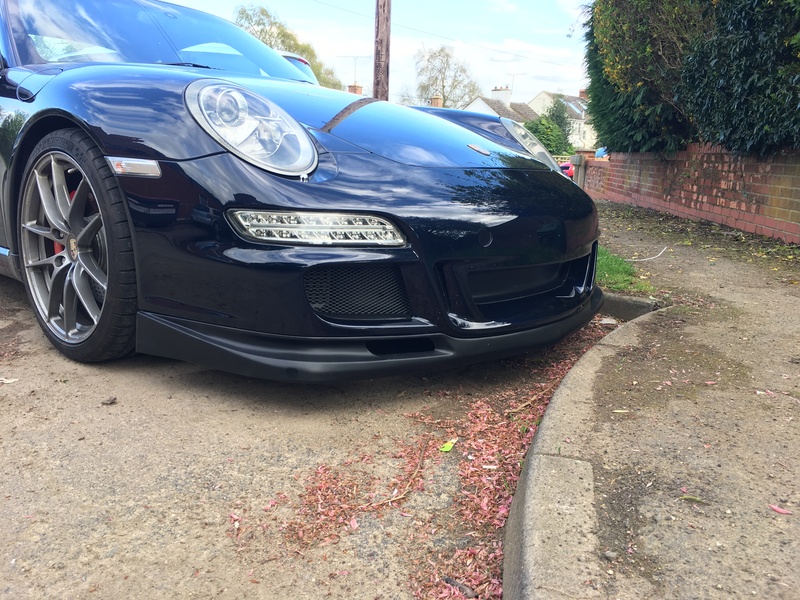 As I posted here http://911uk.com/viewtopic.php?t=130671 ...I have installed the 991 splitter on the standard 997.2 bumper using an adaptor kit out of the US and so far have survived all speed bumps without too much drama. The splitter is around 4 cm" deep from memory. 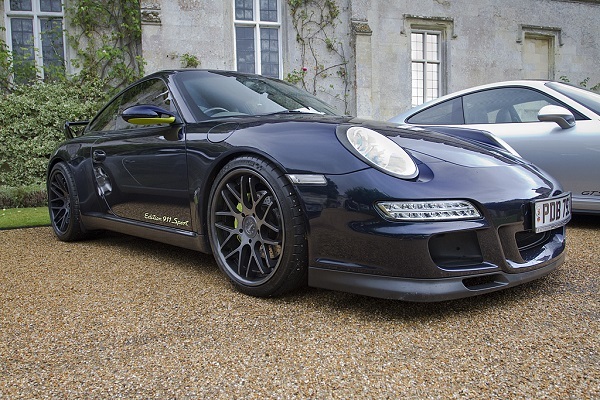 I have PASM on the standard 997.2S which is not as low as you are planning so not sure how the 991 splitter would work for you. The adaptor kits aren't cheap (mostly 3 D printed) but the 991 splitter is so overall reasonable value. Thanks Systech! 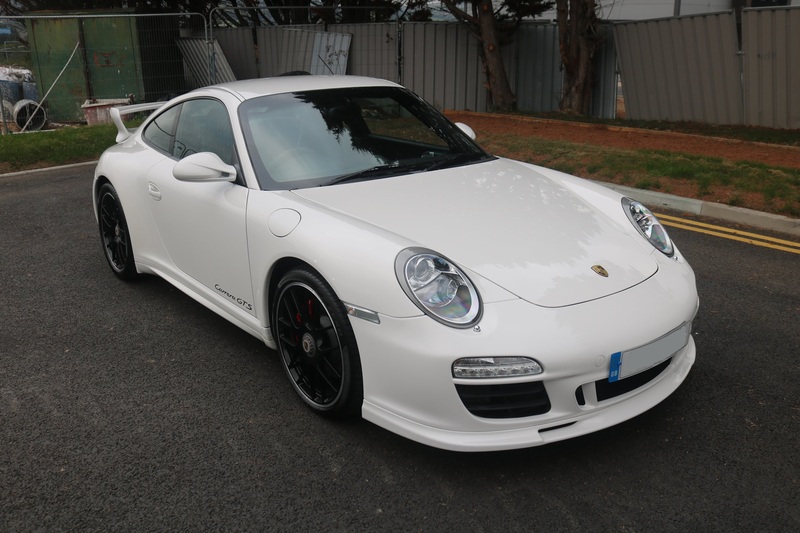 Looks great on your car Will investigate if there is a similar option for the Gen1 GT3 splitter! I inquired off him last week, no it won't fit as it leaves the slots in the leading edge on view as the GT3 splitter mounts differently. It’s easy enough to cut down a GT3 splitter to give you a little more clearance, I had to do this for mine to get up our driveway, thankfully have since move house. If you need to remove more than is possible without cutting into the 2x vents, try finding and RS splitter, they don’t have the vents so can be cut down a little more. Rob have you a pic of your lip as I am sure at dinslaken we discussed the fact it might be a cup lip in which case it is lower than the regular aerokit lip, I was lowered on Techarts on my gen1 with a std aero lip and yes it scrapped from time to time mmmm regularly lol. but lasted 2 years before having to change it. .I seem to remember yours had the two air ducts but was more pronounced on the corners and had a bigger vertical drop off the corners . there appears to be three types the one as in my pic the RS one which has no air ducts and is lower it also has an option for a lip extension piece in the middle , then the other one which I think is the cup one looks the same as my pic but is lower and more pronounced at the corners. Phil, is the lip on your old Gen1 the shallower Cup lip? And the silver Gen1 the same as mine below but trimmed? Not a GT3, but Mines a gen 2 aero cup. Is rather low! Looks great in white I bet you need to be careful with that! Mine has only been on for for 6 months and has taken a bashing! It certainly takes some thought about just how to approach some things and seme places I think humm perhaps I won't try that. Rob the silver car has the same lip as yours, my gen1 has a standard aerokit front lip this is the shallowest of the three types the other one which we dont seem to have a pic of is even lower and has no air ducts in it.